Chandigarh: The Punjab and Haryana High Court recently dismissed the Central Administrative Tribunal (CAT) bench order that had earlier set aside Post Graduate Institute of Medical Sciences’ (PGI) order concerning seniority and promotion of its doctors. In 2002, the three posts for professor were released in the department. An advertisement to fill up one of these posts was issued by the PGI on October 15, 2004. The petitioner moved to the PGI authorities on August 19, 2016 to submit a representation regarding the matter and asked to declare him senior to the other two doctors. However, the PGI rejected the representation on January 4, 2017. He then approached the Central Administrative Tribunal regarding the issue. 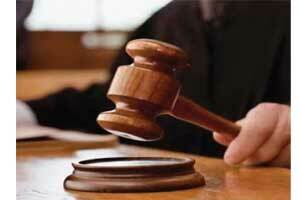 The administrative tribunal gave its order in favour of the petitioner. The case was once again challenged in the High Court by the PGI authorities. Ruling against Dr Behra, the HC dismissed the order by Central Administrative Tribunal. The court rejected the Tribunal order on two grounds. Firstly it held the tribunal wrong on the grounds of Limitation- in entertaining the petition with so much delay. The court also held the doctors argument wrong stating that the doctor was challenging the APS scheme for others while he himself had been the beneficiary of the same scheme in the past.